October is domestic violence awareness month and in which experts have drawn their attention to teen violence that has been in the rise. Teen dating violence is defined as a physical, sexual or emotional hostility situation occurring within a relationship. During high school, teenagers start dating without being well educated on what domestic violence is or when it is happening. The lack of proper education can emotionally or physically affect teenagers in the long run. Marina Rodriguez, an advocate for survivors of abuse, shares reasons why it takes a longer time for teenagers to recognize abuse. According to Rodriguez, the rate of dating violence is higher among teenagers with at least one out of three relationships. Whereas with adults, it is typically one in four. University student, Daisy Choudary shares that during high school, she wasn’t exposed to much domestic violence awareness. “Not really, there were counselors that noticed students and would try to reach out to them, but someone reaching out for help, not as much,” said Choudary. Majority of the hostile dating situations commence in teenager years and victims don’t seek out the help they need until their twenties. 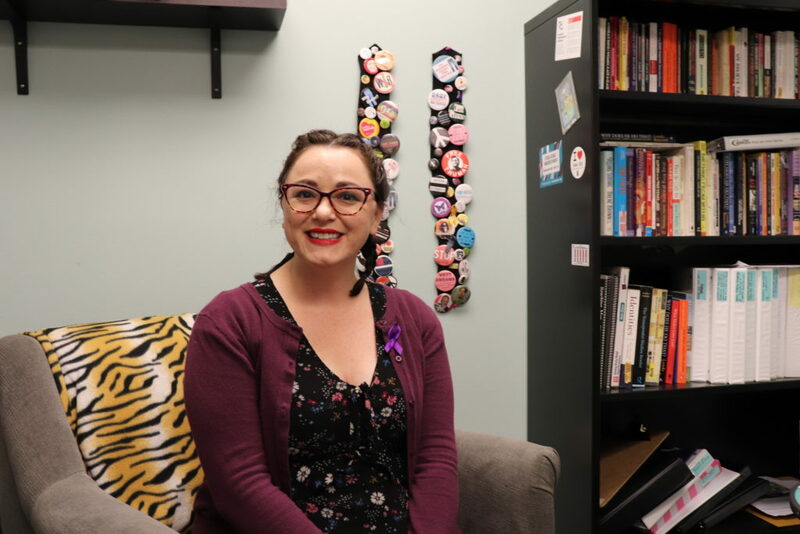 While working at House of Ruth, a non-profit organization that aids victims of domestic abuse, Rodriguez noticed that the average domestic violence relationship was about six years, starting in their adolescence, before speaking to someone about it. As a former victim, Choudary shared that she felt as if there weren’t many options for choose. “For me, when I was in that position, I felt boxed in. I would have gone and talk instead of staying in that relationship, but sometimes we go for help when the situation becomes really bad,” said Choudary. When it comes to helping out or watching out for signs in either teens or adults, there are characteristics in domestic violence that are incredibly specific. “It’s really about power and control. If a person is feeling that their partner is trying to control them in any way, that would be the biggest warning sign. Manipulation tools like jealousy is a major piece of control. For teenagers, they think jealousy means love,” shared Rodriguez. When it comes to our culture, the red flags become confusing due to movies displaying the situation of someone who is really jealous as an indication of love. When a person is shown bugging their crush for a date in a film or television show, it is interpreted as the person caring for their interest, but in reality, it’s known to be stalking. Messages such as these that are found in the media, teaches that abuse is love and passes it onto their audience that soaks it in. When a loved one, a friend or anyone that feels like they can’t make their own decisions, feels guilty for living their own lives during a relationship, this is another sign that there is something is off. Every individual should be in control of their own lives, even when it comes to being in a relationship. “If the person has a partner who is healthy and safe, they are more as a cheerleader. Whatever their goals are, their partner would support them through that saying they have your back and vice versa,” said Rodriguez. When it comes to a teenager going through an abusive situation, they usually don’t talk to their parents but go a friend to discuss it. Teenagers are barely trying to get their freedom, this creates the thought of not wanting their parents to take their freedom away when they find out. Giving a hand to victim takes five tools to remember, in which Rodriguez refers to survivor ally training: listen, believe, support, provide options and a safety plan. “They have an isolation factor of ‘not wanting to admit my parents were right’ but the teen needs to know there is a safe person to talk to such as a guidance counselor, their confidential advocate, they can call the national domestic violence hotline and can chat confidentially,” shared Rodriguez. Adults and teenagers can make a difference by always taking care of themselves and participate during October, domestic violence awareness month.